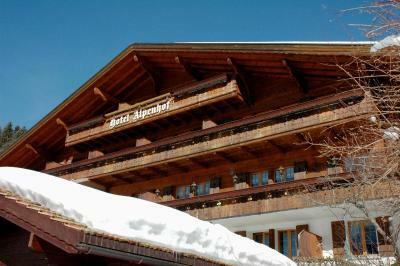 Lock in a great price for Alpenhof – rated 8.9 by recent guests! 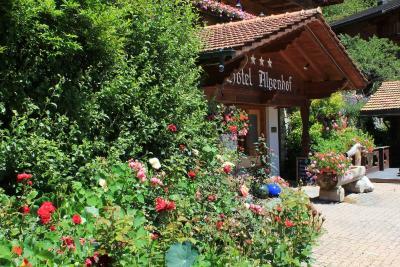 This Swiss style hotel was just perfect for us. The room was clean and comfortable, with awesome views. 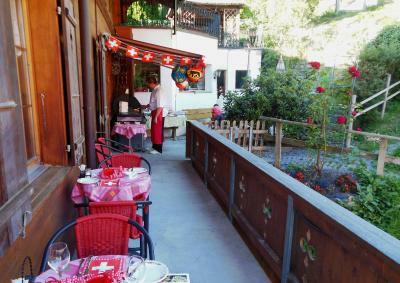 The topping on the cake was the cowbells we would hear while sitting on the balcony enjoying a glass of wine. 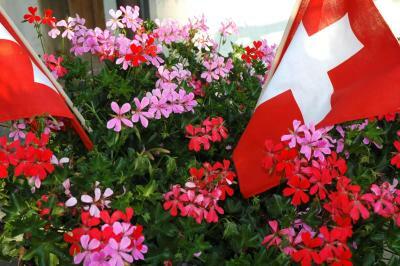 A truly Swiss experience in every sense of the word. We didn’t even mind the little walk up the hill everyday. It was worth it. 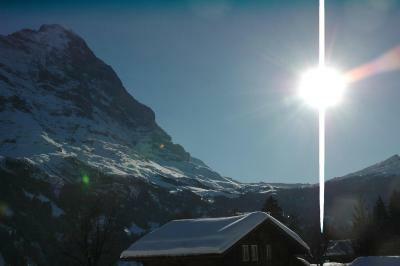 And the town of Grindelwald was adorable. Wish we could have stayed longer. We loved it! Thank you! 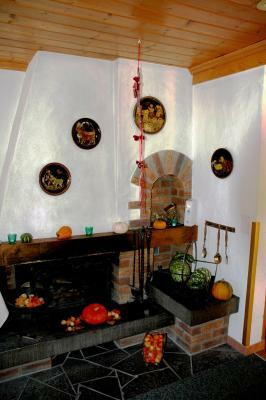 Old world Charm with the modern amenities, like an elevator. The view was outstanding and loved the balconies with chairs and table. Loved that it was off the road so no road noise. Very very very very large room! 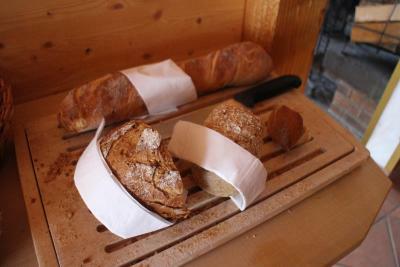 And the breakfast is also tasty! Love the fried eggs and bacon! 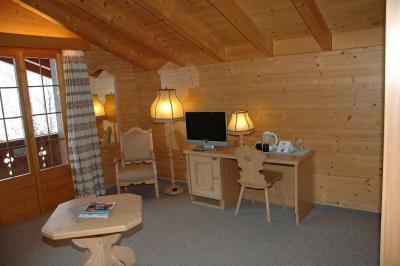 The typically Swiss bedroom and cosy restaurant. 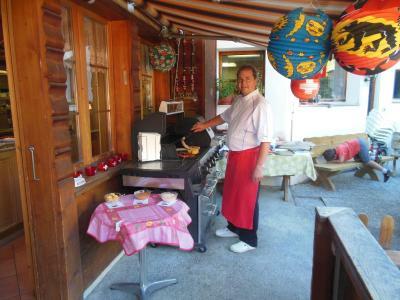 The owner and restaurant staff all spoke English and could help with excursion enquires. The views from the hotel were excellent and the varied menu meant that we didn't have to go out in the evening. I liked everything about the hotel. 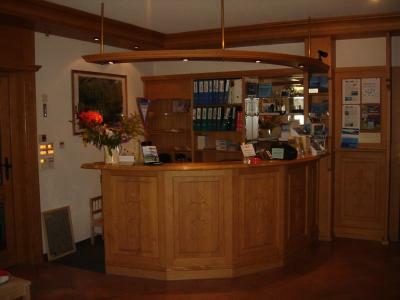 A special mention to the receptionist Ms. Margaret who was very good. We wanted to leave a day early and she refunded us half the amount for three rooms. The hotel is clean and well kept. 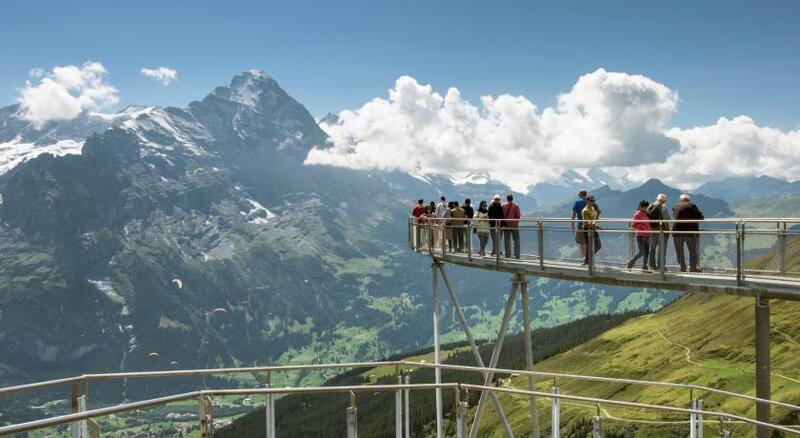 The views are incredible, and the staff is extremely helpful. We brought our 4 month old son and when he started getting fussy during dinner at the hotel restaurant, they helped us bring our food upstairs to eat in our room. They let us store our bags there during the day even after we had checked out, and when we went to pick up our bags they gave us a ride to our next hotel when they saw it would be a far walk for us. Parking in front the hotel. The view from the balcany. 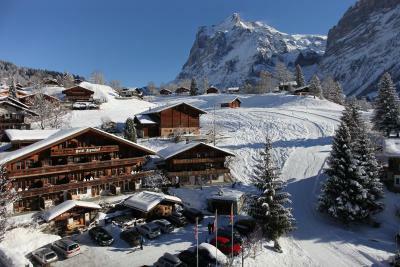 Great location in Grindelwald - set back and up from the Main Street (quiet). 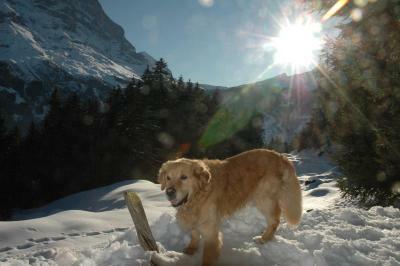 Fantastic views of Eiger. 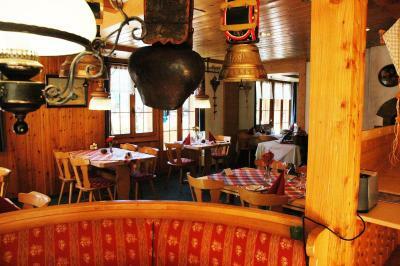 Nice clean rooms and good restaurant. Breakfast also good with choice on offer. Staff very friendly and accommodating. Free car parking in front of hotel. 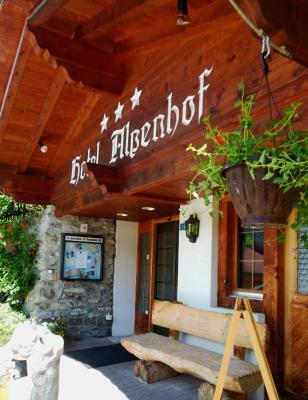 Alpenhof This rating is a reflection of how the property compares to the industry standard when it comes to price, facilities and services available. It's based on a self-evaluation by the property. Use this rating to help choose your stay! 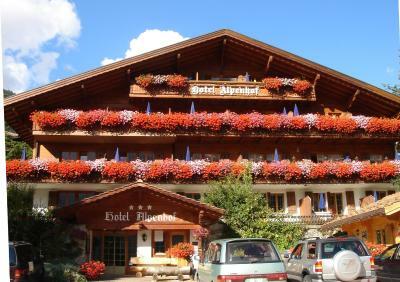 The family-run Alpenhof hotel is only a short walk from the center of Grindelwald and the train station, and is right at the ski slope. In winter, it features a heated outdoor hot tub. 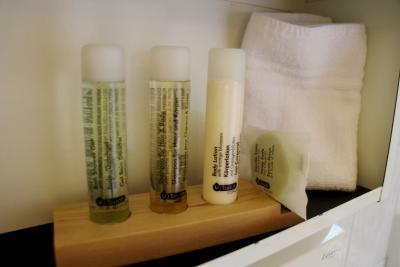 The rooms and suites all have either a balcony or terrace, are accessible with elevator, and feature free Wi-Fi access. 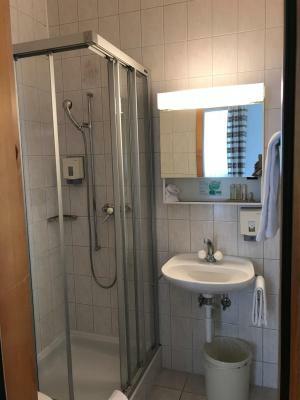 They all come with a HD TV, a radio, a telephone, a minibar, a coffee machine and a bathroom with hairdryer and shower or bathtub. 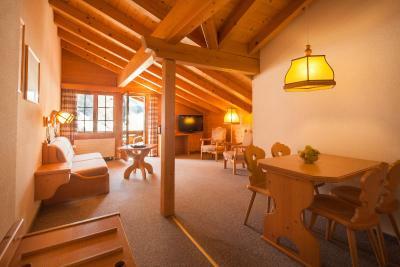 Some rooms have panoramic views towards the Eiger Mountain. 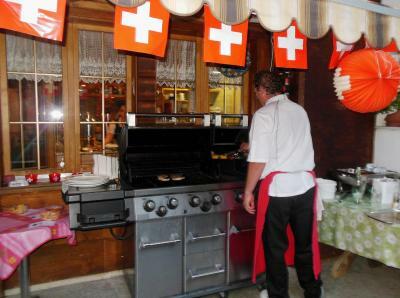 Tasty, typical Swiss cuisine with regional products is served in the Alpenhof's restaurant. 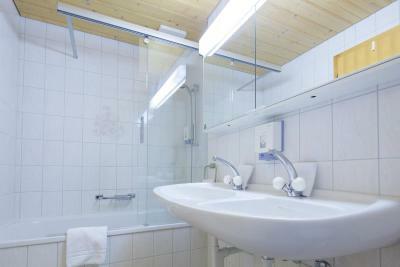 The outdoor hot tub, the infrared cabin and the Finnish sauna are available free of charge. A shuttle service to and from the train station can be requested. 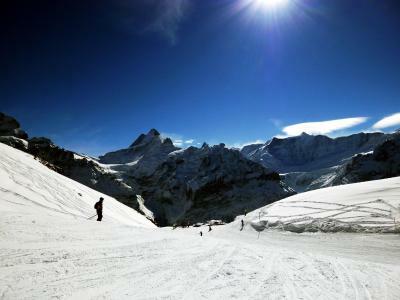 In winter, a daily ski shuttle to and from the train station is provided. 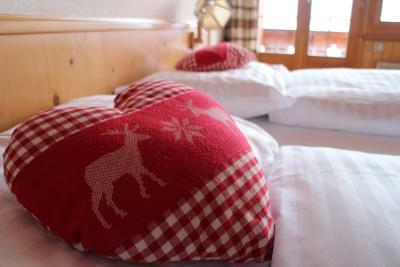 Guests at the property can also take advantage of free access to the sports center´s swimming pool, the village bus and the ice rink, and of several more discounts in and around Grindelwald. 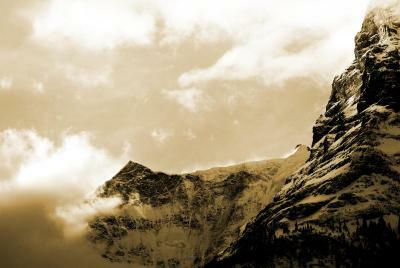 This is our guests' favorite part of Grindelwald, according to independent reviews. 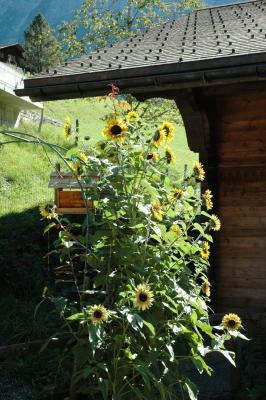 This property is also rated for the best value in Grindelwald! Guests are getting more for their money when compared to other properties in this city. 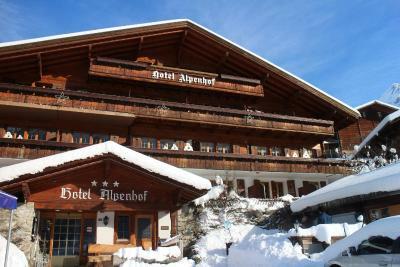 When would you like to stay at Alpenhof? Coffee capsules are included in the room rate and an electric kettle can be provided upon request. 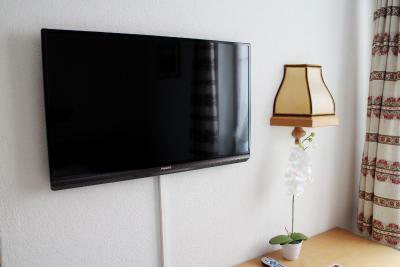 This suite consists of bedroom and a separate living room with HD TV. 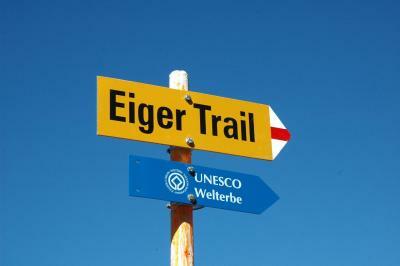 It also provides views of the Eiger Mountain and the surroundings. 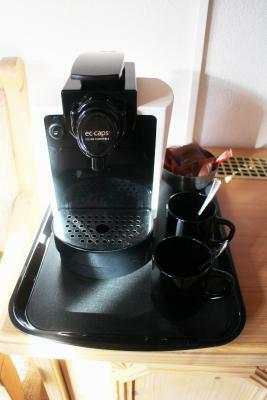 A coffee machine is featured as well, and coffee capsules are included in the room rate. An electric kettle can be provided upon request. 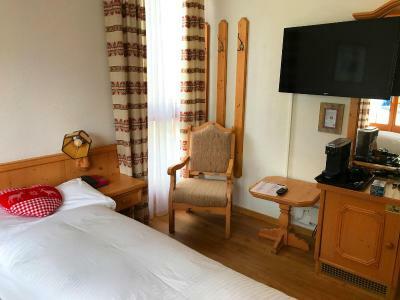 This large suite consists of bedroom and a separate living room with HD TV and it comes with a south-facing balcony, providing views of the Eiger Mountain. There's also a coffee machine. Coffee capsules are included in the room rate. An electric kettle can be provided upon request. 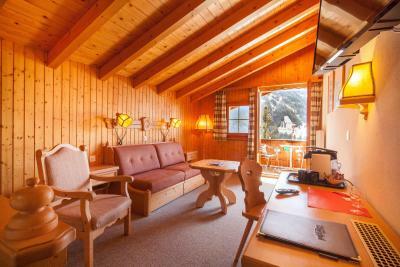 This single room features a balcony or a terrace, an HD TV and a coffee machine. Coffee capsules are included in the room rate and an electric kettle can be provided upon request. Please note that the room rate is based on 1 guest. Maximum occupancy is 2 guests (see Extra Bed Rates). Please note that extra beds are not available in this room type. Maximum occupancy is 2 guests. House Rules Alpenhof takes special requests – add in the next step! 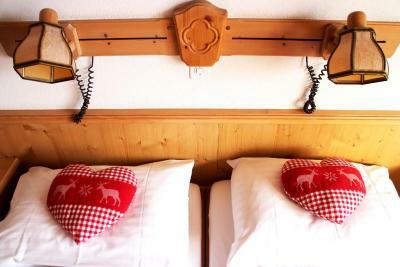 Up to two children from 2 to 12 year are charged CHF 50 per person per night for extra beds. 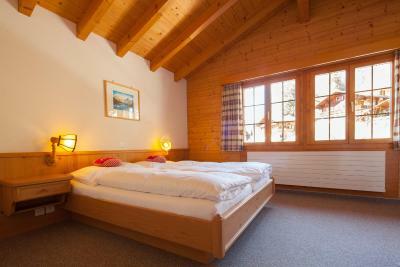 Up to two children from 13 to 16 year are charged CHF 60 per person per night for extra beds. 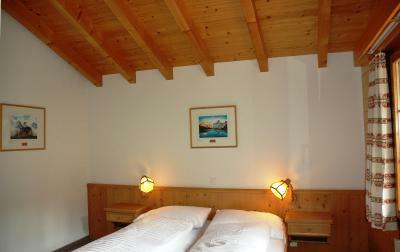 Up to two older children or adults are charged CHF 80 per person per night for extra beds. 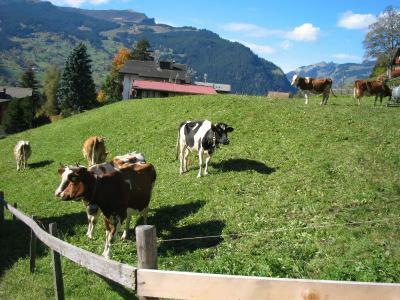 Alpenhof accepts these cards and reserves the right to temporarily hold an amount prior to arrival. Please note that the outdoor hot tub is only open during winter. 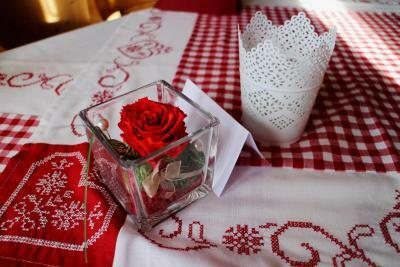 Please note that the restaurant is open from 23 December to 31 March and from 01 June to 30 September every year. 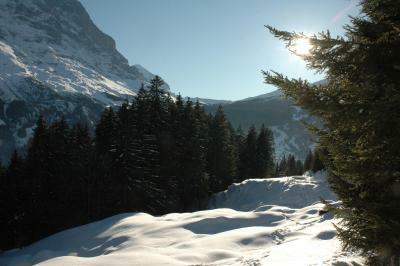 Please note that snow chains are recommended to reach the hotel in winter. I wish the restaurant would have been open. It was closed because of the time of year we went. Although they did have breakfast, which was great! A bit of a steep slope to walk up to hotel from centre - this did not concern us but may be a factor to consider. 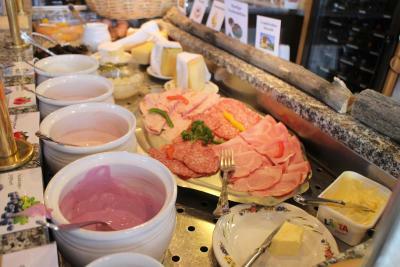 Staff were attentive and particularly the waiters in the restaurant for breakfast and dinner. 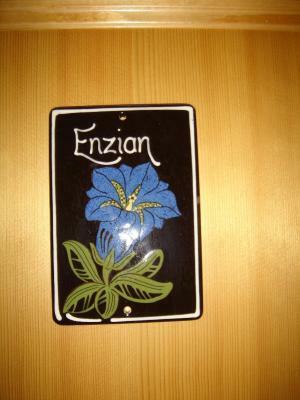 Excellent food and nice atmosphere. the room is cozy, quite and it’s a wise choice to chose balcony, we are facing the dream hillside on the balcony, but the house in front of us blocked half the view. the stuff are nice, the breakfast is good. the wifi is great. the hotel is close to the station, it took 10mins to get to the station, but it took 20mins to go back because the hotel is on the uphill. there are a coop nearby which is closed at 7:00pm. Just a little hard to find initially, but otherwise couldnt fault it.. Loved stay in this hotel the view from balcony was amazing, room was clean and spacious everything was spot on . Breakfast was delicious and service great. I wanted to stay more. 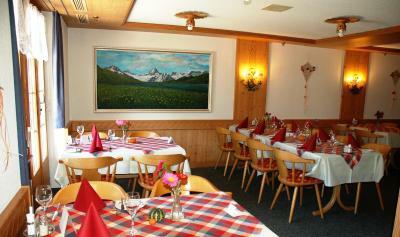 Very clean and cozy room, delicious breakfast, fresh air of Grindelwald! It was a perfect harmony! Great view even on the side patio. Excellent breakfast, very nice staff. Room was very spacious and cozy. Staff was very kind and helpful. 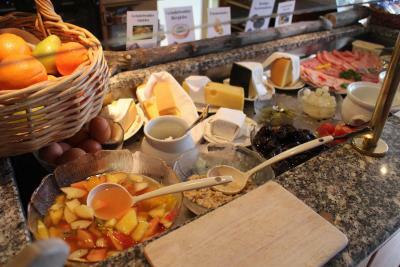 For breakfast, it is simple but it has evrything; cheeses, breads, egg dishes(you should order to a staff), coffee, tea, juices and etc. 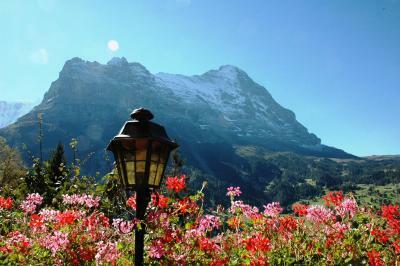 The best part I loved was Eiger mountain view from the terrace. It is nice to have a cup of coffee or food there seeing the mountain and relaxing. At night, I saw a sky with full of stars, which was unforgettable memory for me. 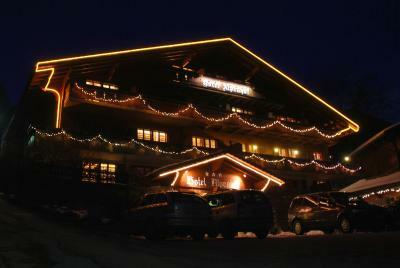 I highly recommend this hotel if you are staying Grindelwald!! There wasn't anything bad about the hotel. We really enjoyed our stay! The location was great for us! Close enough to walk into town but up on the hill to have a great view! Our room was a nice size and we had a balcony to view the beautiful mountains. The bed was comfortable and the breakfast was also good! I contacted hotel before check in for 2 days for inquiry pick up service, however they said this service is not available when our arrival which made me disappointed. So, I had to pull my BIG and heavy luggage to the steep slope to the hotel. very tired.... on other hand, the bathroom is too small.